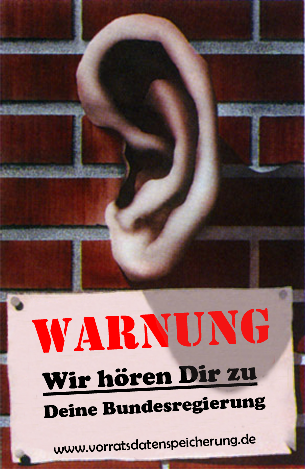 Stoppt die Vorratsdatenspeicherung! - Protest march "Liberty instead of fear"
Civil rights groups are calling on citizens to join in a protest march against excessive surveillance by businesses and governments. On 22 September 2007 concerned citizens will take to the streets, the motto being "Liberty instead of fear - Stop the surveillance mania!". We will meet at Pariser Platz (Brandenburger Tor) at 2.30 pm.